Friday, Apr. 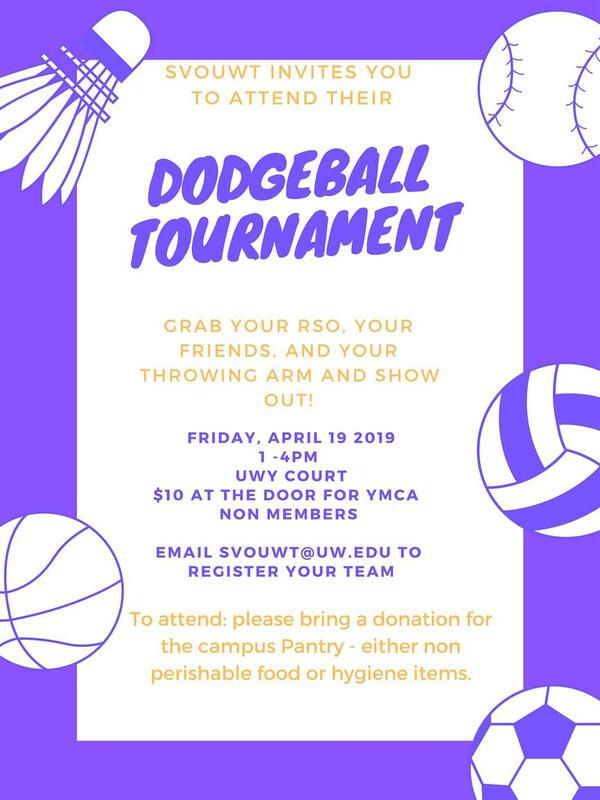 19, 2019, 1 – 4 p.m.
Join the Student Veterans for a Dodgeball Tournament to support the campus Pantry! Bring a donation of a non perishable food item or a hygiene item, and come dodge, dip, duck, dive and doge with us!